Image: Martha Stewart Cafe/Facebook/Original photo was cropped but not altered for this article. Martha Stewart fans, rejoice! The grand empress of domestic arts is expanding her empire in a most delicious way. 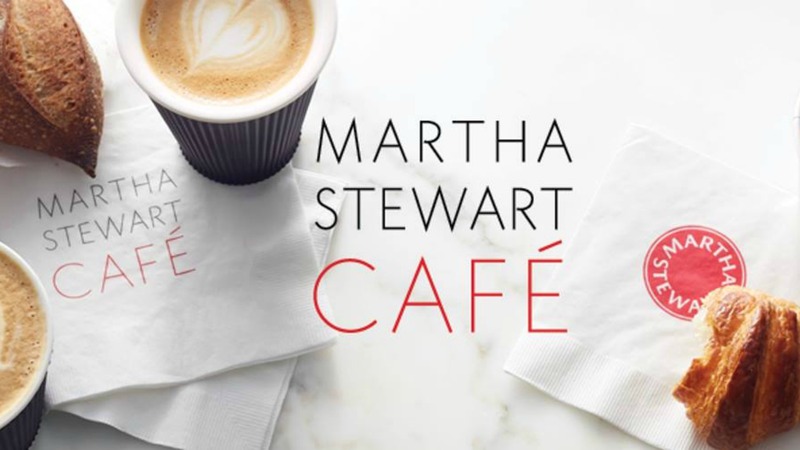 In New York, Dallas and Sacramento, Stewart is opening up branches of her Martha Stewart Café, with more to come. More like small coffee kiosks than the couch-strewn Starbucks you may be used to, Martha Stewart Cafés are an expertly curated coffee experience. They’re serving up Martha’s favorite coffee, sourced from New York’s Kobrick Coffee, along with teas selected by Wei Bertram of Arogya Tea, both of which will be sold under Stewart’s name. There will also be Martha Stewart-branded granolas and a selection of gourmet pastries from local bakeries. Actually the bakery part is one of the things that really caught my attention. Instead of generic, stale, reheated pastries like those sold at some mega coffee chains, Martha Stewart Cafés will showcase the best of what local bakers have to offer, ensuring a much fresher and more interesting selection than what’s available elsewhere. Another promising fact? All the drinks on the menu come in under $5, and the selection is nothing to turn your nose up at. You can get a cappuccino, cold brew or cup of Martha’s Breakfast Blend tea. Or you can branch out — the selection of hibiscus, jasmine-mint and hojicha iced tea is making me thirsty just thinking about it. Currently you can try out what Martha Stewart Cafés have to offer at its location in New York City, at the Starrett-Lehigh building (where Stewart’s offices are located) in Chelsea. You can also trek to the Macy’s Taste Bar Café at Galleria Dallas, where a Martha Stewart Café is opening this weekend, or head to the Macy’s Golden 1 Center Taste Bar Café in Sacramento. Fancy coffee and pastries that won’t break the bank? Yeah, that’s definitely a good thing.